Get all the information you need to decide if a Reverse Mortgage is right for you. Reverse Mortgage Counseling – First Step! Before you complete a reverse mortgage application you must attend a reverse mortgage counseling session. You will need materials in your hand prior to scheduling the appointment.Click the link below and we will send you those documents if you live anywhere in the US. Request a Reverse Mortgage Pre Counseling Packet and schedule your counseling session. Complete a reverse mortgage loan application and select the payment plan. We will meet with you in your home, our office or we’ll send you an application by mail. There is no application fee and the appraisal fee will be financed. If you cancel during the loan process you are obligated to pay the cost of the appraisal. Our in-house loan processors open escrow, order the title work, order the appraisal, lien payoffs and credit and flood reports. The appraiser will call you to schedule a time that is convenient for the home inspection. If the appraiser finds defects and repairs are required, it can be completed within 6 months of closing and repair costs will be held in reserve. 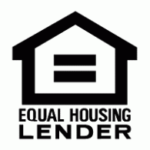 Once all of the necessary documentation is received, your loan package is submitted to one of our preferred lenders. Conditional loan approval is back within a few days, conditions are cleared and we will call you to confirm how you want to receive the money and schedule a time to come to your home (or another location) to sign the loan documents. There is a three day rescission period allowing you time to completely review the contract and cancel if you wish. After the 3 days if there is no cancellation, the loan is funded. If an initial draw is requested, it is wired into your bank account or a check is mailed to you. Any existing debt is paid off and a new reverse mortgage deed of trust is recorded. If you selected a monthly payment, you will receive it in the first week of the following month. If you selected a line of credit, it will be made available to you within approximately one month from closing. You will receive regular statements on your account and we are available to assist beyond the close of your reverse mortgage. There is no requirement to make monthly mortgage payments, although you can if you wish. You must keep property taxes and homeowner’s insurance current and keep the property maintained. The reverse mortgage becomes due and payable upon: the death of last remaining borrower, the sale of the home, or if you no longer occupy the home as primary residence. When the reverse mortgage loan is due, the heirs/estate may repay the loan from the sale of the property and benefit from the remaining equity after the sale, or they may keep the home by paying off through a refinance or cash payment. After your loan closes, as your reverse mortgage representative / agent, Maggie O’Connell continues to be available to answer your questions and provide assistance.